The Groom lifts the Brides chin with his hand and moves in close to kiss her. 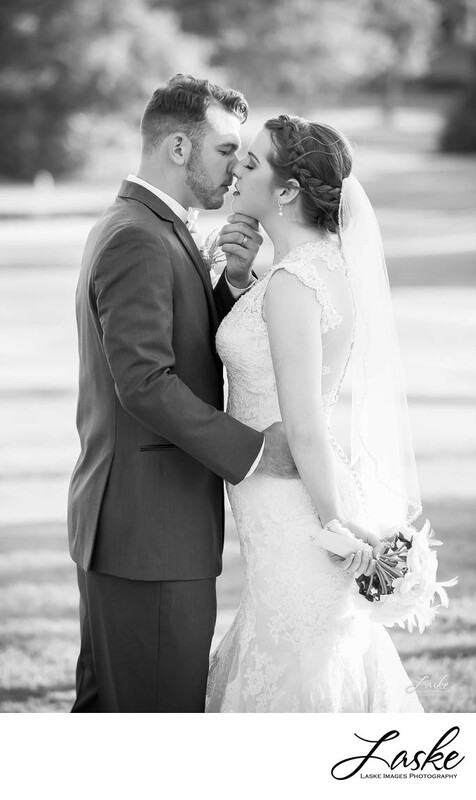 This black and white photo freezes the moment just before the kiss. Outdoor wedding portraits. 1/640; f/4.0; ISO 400; 150.0 mm.